Traveling with wine or other glass bottles can make everyone a little nervous. Especially when you think about the mess, damage, or - even worse - the loss of that perfect vintage. We understand the need to protect your glass bottles, which is why SIPTRIP uses a patented system to make sure that your drinks are protected. 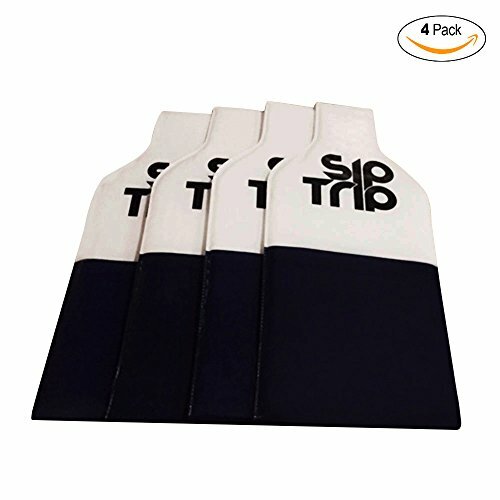 Whether you are stepping on a cruise ship or onto a plane leaving Napa, SIPTRIP'S wine bottle protector sleeve will give you the confidence of knowing that your bottles are safe. SIPTRIP'S travel bag uses a double lock and velcro system that keeps your bottles secure. Plus, with our double layer of bubble protection, you can trust our bag to get your drinks to their final destination. Enjoy traveling with your favorite drinks again - no more worrying about broken bottles or big messes! With our refund guarantee and quality product, you can buy confidently today! Designed in the USA by a fun-loving wine enthusiast and avid traveler! DOUBLE PROTECTION FOR YOUR BOTTLES: The SIPTRIP wine bottle sleeve is created with a double layer of bubble protection to give you the confidence you need to travel and pack your wine bottles and other drinks. REUSABLE DESIGN FOR TRIPS AND TRAVEL INCLUDING AIRLINE TRAVEL: Our bottle protector is made to use trip after trip, year after year. It's an eco-friendly solution for wine country travel and cruises! PROFESSIONAL QUALITY WINE SKIN SLEEVE FOR PREMIUM DRINKS: A patented solution for traveling with glass bottles, SIPTRIP uses a double lock and velcro system that surpasses the competition. Professional sommeliers trust our sleeves! PERFECT HOLIDAY GIFT FOR FRIENDS AND FAMILY: A great gift for family and friends that like to travel with wine, our bottle protector features an attractive design that everyone will love. QUALITY MATERIAL, DURABLE DESIGN: We are confident you will love your SIPTRIP bag, but if for any reason you don't, we're happy to offer a full refund - no questions asked. Buy with peace of mind today! If you have any questions about this product by SipTrip, contact us by completing and submitting the form below. If you are looking for a specif part number, please include it with your message.